Each and every year there arises a major debate around the baseball world as to which players are deserving of induction into the Baseball Hall of Fame in Cooperstown, New York. While certain players from any given year are no doubt picks, sparking little argument as to whether their career numbers are worthy of election, others players have rather borderline statistics, making things very controversial. This year is no different. The first player on my ballot is Tim Raines. As recently as the 2015 ballot results, it seemed as if Tim Raines stood virtually no chance at getting into the Hall of Fame. That year, Raines received only 55 percent of the vote, with just two years of eligibility remaining. But 2016 saw him make a huge jump, climbing all the way up to 69.8 percent. 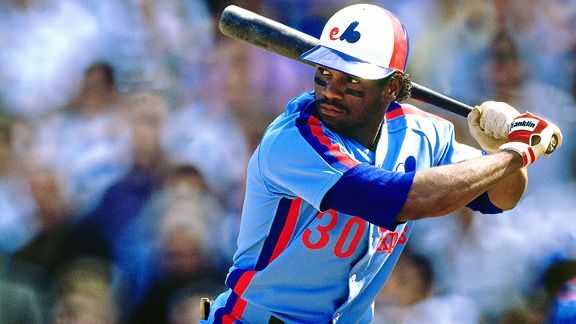 Though Raines only hit 170 homers in his career, his 808 stolen bases and 2,605 career hits truly stand out. With this being his final year on the ballot, I’m hopeful that Raines receives his rightful induction. Second on my unofficial ballot is Jeff Bagwell. I originally didn’t have Jeff Bagwell as part of this blog post, as I was on the fence about whether or not I felt he deserved the honor. However, after numerous number comparisons, I decided he was in fact worthy. Bagwell doesn’t have numbers that jump off the page, with a .297 career average and just 449 home runs, but Bagwell averaged 37 homers and 116 RBI’s a year over a ten season span from 1994-2003, and therefore should be inducted in the Hall of Fame, as 71.6 percent of voters agreed last year. Next, I have Trevor Hoffman. Trevor Hoffman is probably the surest bet of all returnees to get enshrined in 2017. In his first time around last year, Hoffman picked up 67.8 percent of the vote, placing him just 7.2 percent back of induction. Hoffman was the first closer to reach 600 career saves, and sits second all-time behind Mariano Rivera with 601 career saves. In addition, Hoffman also holds a 2.87 career mark, and when you put it all together is a definite Hall of Famer in my mind. Lastly, Vladimir Guerrero finds his way onto my list of picks. The only first-time player I have on my ballot is Vladimir Guerrero, but it’s no true mystery as to why. One of the most fun players to watch, Guerrero could hit pretty much anything from a ball in the dirt to one over his head, evident in his .318 career average — the highest of all the players on this year’s ballot. But Guerrero didn’t just hit for average, he also had one of the best power bats, notching 449 homers and totaling 1,496 RBI’s. There should be more than enough support for Guerrero from the voters. Unfortunately, even with all of the great players on the ballot this year, I had to leave off the remaining 30 players, including a large number of the really good players from the ballot, including Jeff Kent, Fred McGriff, Edgar Martinez, Larry Walker, Curt Schilling, Lee Smith and Billy Wagner — all of which have good arguments for induction into the Hall. In addition, I’ve excluded Barry Bonds, Rogers Clemens and Sammy Sosa, among others traced to PED’s, not based solely on their PED use, but merely because I don’t feel they should get in this time around. Not yet; maybe not even at all. I haven’t fully decided how I feel. The Hall of Fame is an exclusive club, and I’m not sure I’ll ever feel that PED players are deserving of induction. Though you may disagree with some of the players I feel are Hall of Fame worthy and with some of the players I left off my ballot, it’s just the way I feel. With the vote set to be announced on January 18th, it will definitely be interesting to see who gets in. Each and every year there arises a major debate around the baseball world as to which players are deserving of induction into the Baseball Hall of Fame in Cooperstown, New York. While certain players from any given year are no doubt picks, sparking little argument as to whether their career numbers are worthy of election, others players have rather borderline statistics, making things very controversial. This year was no different. The first player on my ballot is Craig Biggio. Missing the Hall of Fame by a mere two votes last year, Craig Biggio should get in without a problem this time around. One of only four of the twenty-eight total players in MLB history with 3,000 or more hits that isn’t in the Hall of Fame — the other three being Rafael Palmeiro (steroids), Pete Rose (banned) and Derek Jeter (he’ll be elected in 2020) — Biggio will likely have that change in 2015. His career stats of 291 home runs and 1,175 RBI’s are relatively low for a Hall of Fame player, but his career number of hits puts him over the top in my book. The second player I have on my ballot is Mike Piazza. I felt strongly last year that Mike Piazza should’ve gotten into the Hall, and I feel the same way this year as well. While Piazza received just over 62 percent of the vote in 2014, and therefore may or may not make a 13 percent jump to receive induction this time around, Piazza will eventually make it in, as he should. Piazza’s stats of 2,127 hits, 1,335 RBI’s and 427 home runs aren’t the best of anyone in history, but they’re right up near the top for best hitting catcher in baseball history. 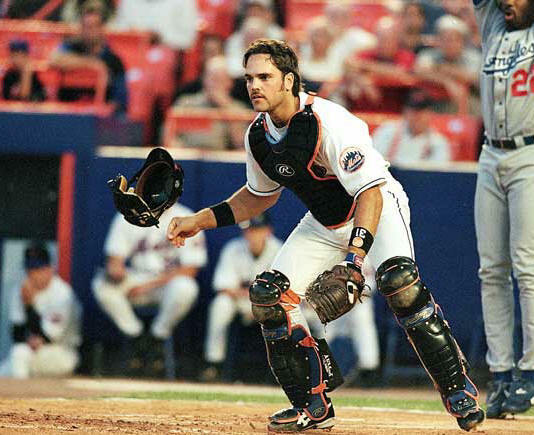 There is no doubt that Piazza is a Hall of Famer. Tim Raines also finds his way onto my list of picks. The only new player on my ballot that isn’t in his first time up for election, I gave Tim Raines a strong look last year but decided to leave him off my ballot. This year, however, I included Raines. Raines’ overall statistics aren’t over the top, having blasted just 170 home runs in his career, but it’s his 808 stolen bases combined with his 2,605 total hits that make him Hall of Fame worthy. Raines sits fifth all-time on the stolen base list, with the four players ahead of him each holding a spot in Cooperstown. In my opinion, Raines should join them. Following Raines I have Randy Johnson. 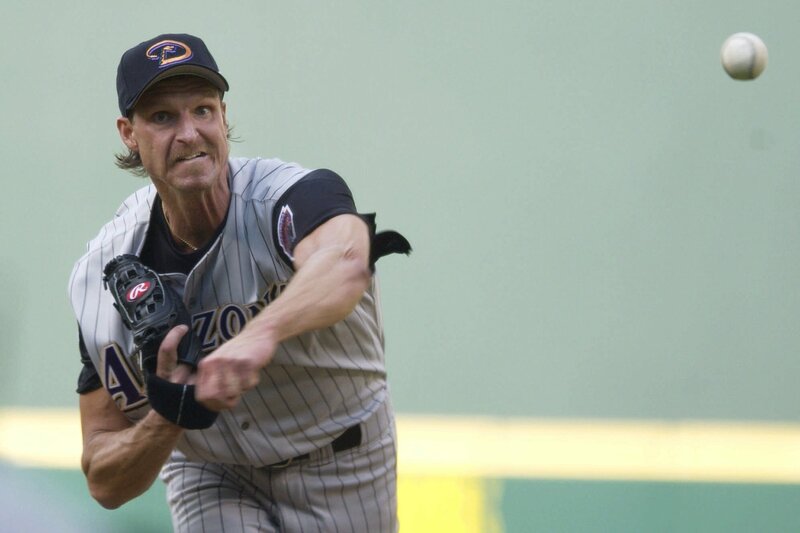 The easiest choice of all the first time ballot players, Randy Johnson will no doubt get into the Hall of Fame in 2015. Racking up over 300 wins for his career — something that nowadays will likely never happen again — and recording 4,875 strikeouts to go along with a 3.29 ERA, Johnson sits in the top few all-time in a number of categories. Having received the honor of obtaining five Cy Young awards over his career, Johnson has put himself into great position to get the greatest honor of all: induction into the Hall of Fame. The fifth player on my ballot is Pedro Martinez. 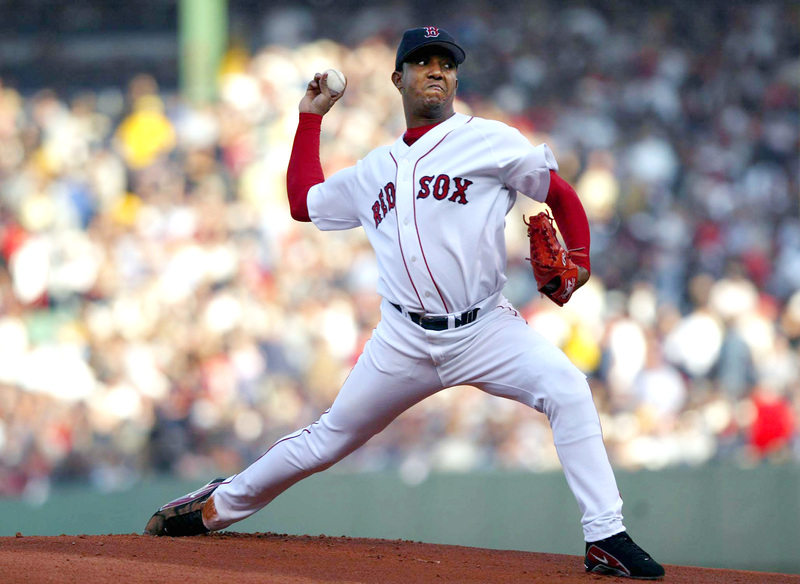 Pedro Martinez is by no means a guaranteed first-ballot Hall of Famer, but he’s very, very close. With a career ERA at 2.93, and the sixth best winning percentage of all-time, at .687, Martinez is definitely worthy of the Hall, just maybe not the first time around. Even so, he’s on my ballot. With all of the great seasons Martinez had, most notably with the Red Sox, where he won 117 of his 219 career games and helped lead Boston to its first World Series title since 1918, he will receive a great number of votes. But Martinez will perhaps come up just shy of induction this time around. The final player on my ballot is John Smoltz. As with Pedro Martinez, John Smoltz getting into the Hall in 2015 isn’t a sure bet, but he’s going to get a good amount of support regardless, and will undoubtedly get in eventually. The only player in MLB history to win over 200 games and record over 150 saves, all totalling up to a 3.33 career ERA, it’s Smoltz’s combination of great years as a starter and fantastic three year stretch of relief pitching from 2002-2004 while dealing with arm injuries that makes him deserve it all the more. 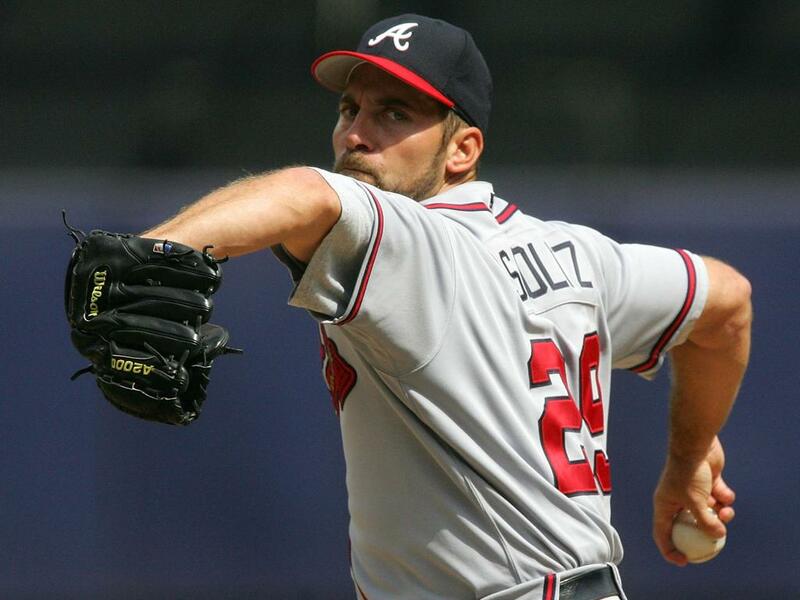 Racking up all his career saves (154) over that time, Smoltz was an all around great pitcher. Unfortunately, even with all of the great players on the ballot this year, I had to leave off the remaining 28 players, including a large number of the really good players from the ballot, being Fred McGriff, Lee Smith, Curt Schilling, Edgar Martinez, Mike Mussina, Jeff Kent, Larry Walker, Gary Sheffield and Jeff Bagwell — all of which have good arguments for induction into the Hall. In addition, I’ve excluded Barry Bonds, Mark McGwire and Rogers Clemens, among others traced to PED’s, not based solely on their PED use, but merely because I don’t feel they should get in this time around. Not yet. Maybe not even at all. I haven’t fully decided how I feel. The Hall of Fame is an exclusive club, and I’m not sure I’ll ever feel that PED players are deserving of induction. Though you may disagree with some of the players I feel are Hall of Fame worthy and with some of the players I left off my ballot, it’s just the way I feel and how I see things. Now, I want to hear from you. Of the players on the 2015 ballot, who do you want to see get inducted in July? Cast your vote below for the number of players from the 2015 ballot that you would vote into the Hall of Fame, and feel free to leave your thoughts below. 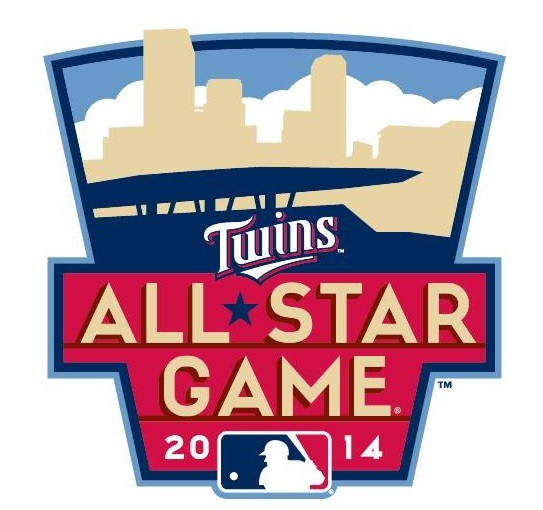 On Friday, the ballot for the 2014 Major League Baseball All-Star game, set to take place up in Minneapolis, Minnesota, at Target Field on July, 15th, was released, giving baseball fans all across the country the ability to pick which players they’d like to see in the starting lineups of the midsummer classic. With more and more attention being given to the All-Star game as years pass (a record 40.2 million ballots were cast in 2012), and with there being so many top quality candidates to choose from, the voting has become extremely intriguing. To cast your vote, you can head down to your local ballpark and pick up a ballot, or, the easiest of ways, just head to MLB.com and fill out an online ballot with the player you feel most deserves the honor for each position. You have up to 25 votes (35 if you’re a registered member with MLB.com) that you can use. Voting doesn’t end until July 3rd, but I’m not waiting (at least not completely). With the great start he’s had so far this season, picking Albert Pujols was an easy choice. Though there are several other great candidates, including Miguel Cabrera, who just recently moved back over to first, and rookie phenom, Jose Abreu, who’s off to a fast start to his major league career, it was Pujols who had the overall package, posting a solid campaign for comeback player of the year. For the National League side of the vote, it was a bit more difficult, with even more great candidates. From Brandon Belt’s fantastic, breakout start, to the always consistent Freddie Freeman, it was hard to settle with the decision I came to of picking Paul Goldschmidt. However, after the breakout season he had in 2013, and the fact that he isn’t letting up, he’s done enough to earn him my vote. Though his power numbers have yet to show up so far this season, as many predicted with his move to the Mariners, I voted for Robinson Cano to start at second for the All-Star game. He’s still been fairly consistent at the plate this season, and his defensive skills are always fun to watch. While both Jason Kipnis and Dustin Pedroia were considered, Cano, in my mind, is the best choice at the moment. I never thought I’d cast a vote for Neil Walker over the walking web gem that is Brandon Phillips, but that’s exactly what I did. Walker is off to a fantastic start to the year, and while Phillips hasn’t slowed down with his glove handiwork, he’s been a bit slow at the plate thus far. If he can pick it up offensively, he’ll likely earn the fan’s vote, but for now, I’m sticking with the Pirates’ Walker. Statistically, Alexei Ramirez probably deserves the starting shortstop role more than Derek Jeter, having one of the fastest starts of anyone in baseball, and the best kickoff to his career. However, with this being his final season (and Jeter being my favorite player), I had to vote for Jeter. The model of consistency, Jeter in all likelihood will be making his final All-Star start come July. Troy Tulowitzki has always had the potential to be one of the top players in all of baseball, however, health has played a big role in hindering that caliber player from showing up. But with Tulo fully healthy, he’s begun to show signs of his full potential, and has been doing fantastic so far for the Rockies. While Andrelton Simmons and Hanley Ramirez would be great picks, mine goes to Tulowitzki. In voting for the American League third baseman, though Josh Donaldson has, arguably, gotten off to the best start of any third baseman in baseball, I went with Evan Longoria. While Donaldson could definitely earn the All-Star spot should he continue his great play, Longoria has always been able to be consistent for the Rays. He should be able to do enough to earn the honor yet again. Pedro Alvarez and Nolan Arenado have both begun the 2014 season on a high note, however, with David Wright having a good year as well so far, and factoring in his track record, my ballot saw Wright as the pick for third base. Wright always seems to have the numbers to warrant an All-Star selection, and I feel he’ll likely make the cut this time around as well. With Brian McCann heading from the NL to the AL this offseason, many felt he would be an immense impact as he has been over the years. But while he certainly has been great, he hasn’t had the fastest start to the season among catchers. Matt Wieters has had a career season so far, really producing well for the Orioles, and if he can keep it up, he very well could overtake McCann in the voting. When it comes to picking the National League catcher, it truly is a tough choice. There are several great ones to pick from, many of which have been All-Stars before, and the great seasons so far by those players makes it nearly impossible to say which one player stands above the rest. With that said, however, I went with Yadier Molina, who does nearly everything well on the field, and deserves another selection. Being just an American League category, there weren’t too many players to pick from, so it came down to David Ortiz and Nelson Cruz for me. While David Ortiz is usually the obvious choice, Cruz is having a career season so far, and he might receive the All-Star votes needed if he can keep up his hot start. However, don’t count out Ortiz, as he could heat up as July continues to approach. All three of these players are off to tremendous starts to the season, with all three standing a good shot at making the All-Star team this year. Mike Trout is, arguably, the best player in the game today, constantly making great plays and showing off his power at the plate, with Carlos Beltran and Jose Bautista possessing some of the best power baseball has to offer. Everything together, they all deserve consideration. As with most categories, the National League has more players overall that have an argument each season to be an All-Star. For this season, I voted for Ryan Braun (unfortunately), Giancarlo Stanton and Andrew McCutchen, as while I’m against Braun for his PED use, he’s still a good player. But with that said, I felt a lot better about choosing Stanton and McCutchen than I did Braun. Do you agree or disagree with my picks? Leave a comment below. 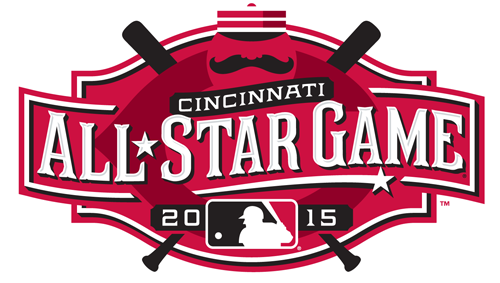 It seems a bit too early to be thinking about the 2013 All-Star game, which doesn’t take place until July 16th, but the ballots have already been released, allowing fans all across the country to cast their votes for who they want to see participate. Therefore, I figured I’d take the time to type up a blog post discussing who I voted for, and why I voted for them. For my American League vote, it came down to Prince Fielder and Mike Napoli. Normally, I would’ve voted for Fielder without a second thought, but Napoli has really been performing well this year, so I had to at least consider him. But in the end, I decided on Fielder, for his overall track record and defensive skills at first. My vote also came down to two players in the National League: Joey Votto and Ryan Howard. Both are having good seasons so far, and both have great gloves at first base, but I voted for Votto, just because I feel he’s the better player at the current moment, and will probably be so in July. I glanced at Dustin Pedroia’s stats for a few minutes, but for me, the AL portion of this vote is a no brainer. There’s no other second basemen in all of baseball with a better combination of power, range and overall defensive abilities than Robinson Cano. Thus, I voted for Cano, who should see himself taking part in his fourth straight All-Star game. It would’ve been easy to pick Chase Utley for NL second basemen, with him having a great comeback season, but I couldn’t overlook Brandon Phillips. Though he doesn’t supply the same amount of power as Utley, Phillips still has some pop, but I picked him for his glove alone. Other than Cano, Phillips is the smoothest-looking second basemen in baseball. As much as I wanted to, and almost did anyway (why not? ), I couldn’t vote for Derek Jeter to play short stop in this year’s All-Star game, for the AL. With the further setback to his ankle, there’s doubt that Jeter will even be back by then, thus he wouldn’t be able to participate. So I ended up settling on Jed Lowrie. He’s having a fairly good season thus far. The National Leauge portion of the short stop position was far more difficult to decide. When you have guys like Starlin Castro, Troy Tulowitzki and Andrelton Simmons to choose from, it makes things difficult. But in the end, I went with Troy Tulowitzki, who, if he can keep up his hot start, should be a front-runner for comeback player of the year. Choosing between guys like Miguel Cabrera, Manny Machado and Evan Longoria, the AL third basemen position took me the longest of them all to decide on, but I went with Miguel Cabrera. Having won the Triple Crown in 2012, and currently sitting just back of the leaders in average and RBI’s, Cabrera stands just above the rest. I nearly went with Ryan Zimmerman for the NL third basemen, but I changed my vote to David Wright. Wright is one of the best defensive third basemen in all of baseball, and his ability to hit for average as well as power is unmatchable. Wright should easily make the cut to take part in his seventh career All-Star game. Joe Mauer is having a better season so far than J.P. Arencibia, in terms of batting average, but I decided to vote for Arencibia, nonetheless. Arencibia has never participated in an All-Star game, in his three full season career, but I hope this year things turn out differently. He certainly has the talent, but it’s going to take continued success to make it. This could’ve been somewhat of a difficult decision, having to choose between Brian McCann and Buster Posey, but given that McCann is yet to play in a game this season, I went with the obvious choice of Posey. On pace to have the best season of his career, Posey is sure to be behind the plate for his second straight All-Star game. Designated hitters, Travis Hafner, David Ortiz and Mark Trumbo are all having fantastic seasons so far, but going off of who is performing the best at the current moment, there’s no argument that it’s Ortiz. Considering the fact that he’s on a 23-game hit streak, dating back to last season, I’d say there’s no other DH who deserves a vote more than Ortiz. There’s no doubt that both Mike Trout and Yoenis Cespedes are worthy of the All-Star game, however, Michael Morse is somewhat debatable. Even so, I voted for Morse to participate. I feel that although he doesn’t hit for a high average, nor does he make gold glove caliber plays, Morse is deserving of his first career All-Star game. Voting for Bryce Harper, Justin Upton and Ryan Braun meant leaving out players such as Matt Kemp, but I feel these three are most deserving of the All-Star game. All are off to great starts so far this season, each leading their team in home runs and RBI’s, and therefore, I felt each was worthy of my vote. So there you have it: My 2013 All-Star game ballot. I might end up regretting a few of the players I voted for, as their stats might fall short of where I’m predicting them to be in July, however, it is what it is. I’d be happy with whoever participates.